The grapes are harvested by hand when they reach perfect maturity, selected put into boxes, and immediately brought into the cellar to be processed. Selection of the grapes is very important for us: we don’t want to have under ripe fruits, dried fruits or mold into the boxes. De-stemming, mashing and maceration vary, according to grape type, wine to be produced and vintage. Racking is done several times to clear the wine of lees. When the wine seems to be ready and sufficiently stable, it is bottled and stored in a cool place. The proportion of wine destined for ageing is racked into oak barrels and stored in special cool, dark rooms, where it will mature in wood for several months. The white grapes are de-stemmed and immediately pressed. The must remains in contact with the skins for some time and is fermented in stainless steel vats, while the temperature is constantly monitored and maintained at about 18°C. This means the fragrances in the berries remain unvaried and the transformation of sugars into alcohol takes place very slowly, without developing undesired compounds or unpleasant odors. 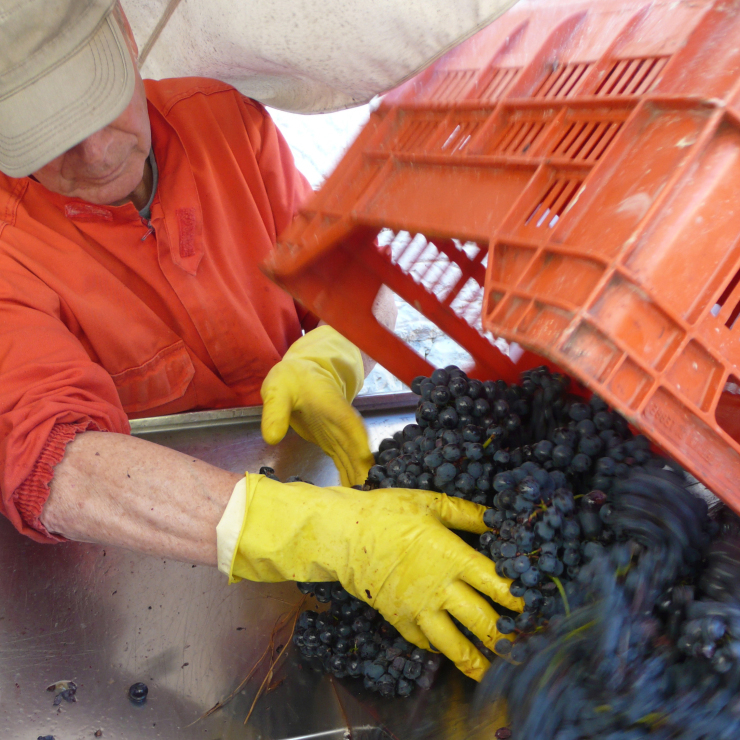 After that, many rackings follow to “clean” the wine and to maintain the fresh aromas. Cooling the wine helps to make it clear. When the wine is stable, it is bottled. The black grapes are de-stemmed and pressed, but the solids remain for a certain length of time, depending on the type of wine. While the skins are in contact with the must, they release substances into it: anthocyanins, polyphenols, tannins, perfumes, etc., giving the future wine structure and typical character. Now the skins are separated from the must with a no pressing system, only the free run must is taken while the rest is used to make grappa. When all the sugars have transformed into alcohol, the wine deposits the lees onto the bottom of the vats and is racked into a clean container. The racking is repeated several times, to eliminate completely any solid particles. This allows the wine to achieve a natural clarification and avoids the creation of unpleasant odours. Keeping the wine cool helps to sediment the tartrate (naturally present salts in the wine) on the bottom of the vats. If not all the tartrates have been deposited on the bottom, it will be possible to find some white crystals on the bottom of the bottle, but they have no effect on the wine quality. In the right years, if there is an optimal maturation balance of the grapes (which depends on the weather during the ripening period) the white wine can be used to produce sparkling wine. 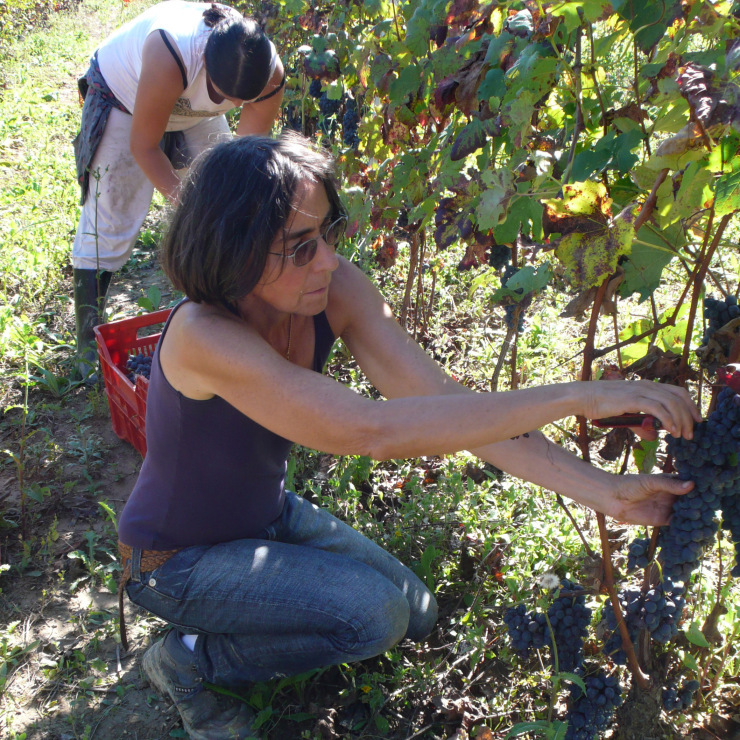 We use the classic method, which was invented by the French in the Champagne region. It consists in allowing the wine to have a second fermentation in the bottle, while it stays in the coolest and darkest parts of the cellar, developing fine bubbles. The wine remains on the yeast for at least 18 months, than it is time for the “remuage” (shaking) that is still done manually, followed by disgorging and ageing in the bottles. Then finally… you can clink the glasses !